Part documentary part music video, “High Diver” directed by DH Jacobs is an off-kilter ode to legendary high-diver Dana Kunze. He describes the experience diving from a tiny platform 130 feet in the air, “the most incredible sensation in the world. So close to flying.” Building from an old interview and footage of the world-record daredevil in action, Jacobs and Co. layer on some new lo-fi SFX and a scene of a young mustached man diving off a regular diving board at a local pool. 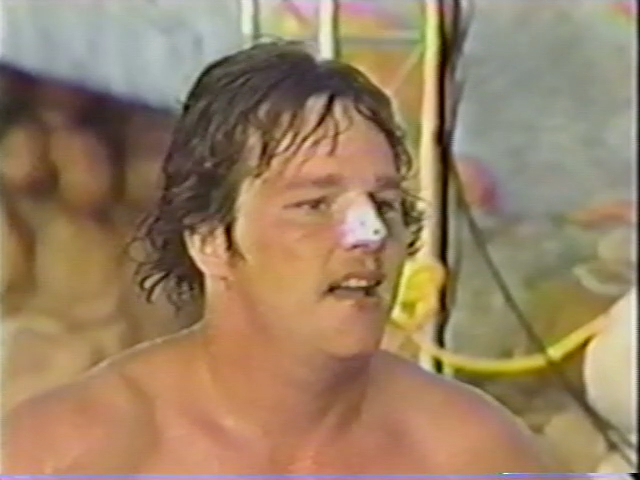 Though there’s nothing dangerous or impressive about his dive, he manages to injure himself. And who better to come to his rescue than present day Dana Kunze. The overall effect of this barely 4 minute quick pic is that of a fun-loving remix, equal parts awe-inspiring and goofy. Directed by DH Jacobs. Shot and edited by Tyler Keff Beasley. Music: Seth Faergolzia. Starring Dana Kunze and Bentley Cook.